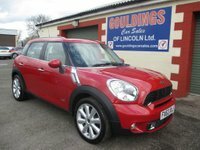 Gouldings Car Sales of Lincoln have been established for over 25 years, we are Renault and Jaguar used car specialists in Lincolnshire, and we also stock a very wide range of used cars, prestige, hatchbacks, saloons, estates, and sports cars. We are dealers of all makes and models - Audi, BMW, Citroen, Ford, Fiat, Honda, Jaguar, Mazda, Mercedes, Peugeot, Renault, Toyota, Vauxhall and Volkswagen. We always carry between 80 and 100 cars in stock at any one time. 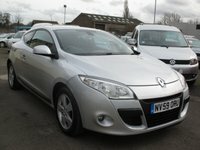 As specialist used Renault and Jaguar dealers, we sell cars to Lincolnshire and the UK from our showrooms on Matilda Road, Lincoln and Station Road, North Hykeham. All of our Renault, Jaguar and other used cars are carefully selected from local sources to give you the very best on offer. We prepare our cars to the highest standard, they are all fully serviced, have a full pre delivery inspection, and come with a FULL mot, they are also fully valeted to a particularly high standard by our valeters, who pay particular attention to detail. Every car is HPI checked, every car leaves with a parts and labour warranty (Terms and conditions apply), with the exception of the Classics. 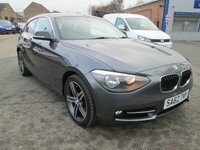 We offer all the usual used car dealer facilities, part exchange is very welcome, we offer VERY COMPETITIVE FINANCE with various finance companies, we can also offer extended warranties from 6 months to 2 years if required. We offer Diamondbrite interior and exterior protection on all our cars, if required, which carries a lifetime guarantee. We are a family run business who really will go that extra mile to make your buying experience a pleasant one. 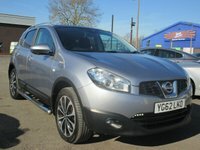 We currently stock a large range of used cars of all makes and models with prices ranging from £1,500 to £25,000. If for any reason we do not have in stock a particular car, please do not hesitate to contact our very experienced sales team to discuss all of your requirements with them, they will be pleased to help. 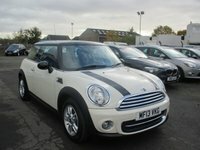 We can cater for any tastes upon request and are happy to search for the car of your dreams. + £49 ADMIN FEE. 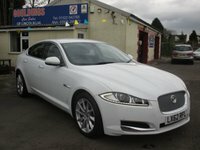 This Jaguar has full Jaguar service history (see photos ) and a full 12 month MOT. The XJ is the pinnacle of Jaguar's ethos of building cars that offer high performance and comfort in equal measures. It's a world away from its predecessor, both in terms of appearance and driving, yet this is still very much a Jaguar with plenty of delightful styling details and a coupe-like look. An all-aluminium body ensures a low kerb weight – good for handling – which combined with a superb engine, means the XJ delivers stunning performance and useful economy. 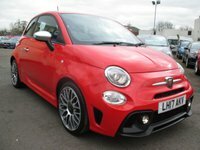 The car will come as standard with a full 12 month MOT, a service, a full professional valet and a 3 month parts and labour warranty which can be extended to 24 months. Very friendly service. Adam was amazing. The car was even ready 2 days earlier than expected as he knew I was desperate to get my new car. Would definitely recommend. I highly recommend Gouldings. Iâ€™ve purchased several vehicles from them over the years and most recently my daughter got her first car from them too. They are extremely honest, trustworthy, so helpful, friendly and go above and beyond any other dealer. Weâ€™ve all had troubles in the past buying 2nd hand vehicles. Thereâ€™s some very untrustworthy dealers out there. But, not at Gouldings! Iâ€™ve never had an issue of any kind. My knowledge of vehicles is basic, I know how to drive, and thatâ€™s all. So, itâ€™s easy to get ripped off. Even their after service is phenomenal. I canâ€™t thank them enough for how helpful theyâ€™ve been to get my daughter a vehicle. And, theyâ€™ve even been kind enough to offer when she needs any servicing, breakdowns, general wear & tear repairs etc, she should call them. They will assist her to ensure she is looked after properly. A humongous weight off my shoulders as a mum, to know she will be safe on the roads and has a point of trustworthy contact if she has any difficulties. I wouldnâ€™t even consider buying a 2nd hand vehicle from anywhere else, even if they didnâ€™t have what I wanted. I would either wait until they could source what I preferred or look at a different vehicle. Every single person who works there is so cheerful, friendly and always so welcoming. Itâ€™s a rarity to find a business with such care for their customers. So far so good car looks lovely Adam kept in contact and reassured me all the way. I purchased a Volvo S80 from Goulding Car Sales Lincolnshire and have to say this has been the most relaxed non pressured purchase I have experienced.Adam and Paul are the most down to earth sales persons I have ever dealt with no hard sales patter from them no pressure to buy and do not believe they should go out on a test drive with you and make you feel uncomfortable. I would highly recommend this car sales to anyone looking to purchase a used car as the service you receive is excellent. Thankyou so much. Lynne. Leicestershire. I would like to begin this review by thanking Adam at Gouldings Car Sales, Matilda Road for making my new car purchase such a pleasant experience. 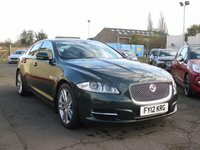 I purchased a Jaguar XJ Sovereign and never felt under any pressure at all to buy in fact I was encouraged to test the car myself. I went along with my wife and both Adam and John treated her with respect and never talked down to the "little woman" as many car sales persons do. At the age of 69 as you can imagine I have bought many cars over the years but I have to say that this was the most pieasureable experience I have ever had buying a car. Gouldings deserve every success in the future as good old fashioned service and respect go a long way. Thank you all again. Steve K. Skegness. I went down to gouldings just to have a look, I saw a nice Peugeot 207. After speaking to my wife and letting her look at the car as well, she said yes it's a little 57 plate 1600, no frills, ideal for work.. then I had a problem, the oil warning light came on and all the water buggered off... I rang Adam from Gouldings, all I can say is thank you. I took the car down, he took the car to a garage that he uses and I mean, I dropped it off where I bought it from, and they took it down there for me and gave me a car which I could use for work which they didn't have to, but they did... They fixed the car and brought it back for me when it was sorted, all it was.. the water pump gasket has gone and it has used all the water, don't know about the oil warning light. since I've got it back I've had absolutely no problems with it. I've just got back from Stansted Airport. nice car runs really well also cheap. I would certainly use this garage again because of the after sales, any problems, any issues, gave them a ring and they sorted them out within a week.. Nice people to talk to on the phone as well, very polite. 5 out of 5 stars - Initially contacted Adrian via the internet, to which he responded very quickly. My wife and I arranged to go over to view the vehicle on site. We arrived at the site and Adrian introduced himself, directed us to the vehicle we were interested in, and left us to look it over by ourselves. 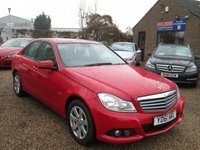 The vehicle was well presented, and the advert we initially saw it on adequately described it's condition and all the features. He offered the keys to us, and invited us to go for a test drive. 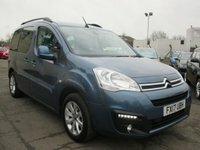 We loved the vehicle and it filled all our tick boxes, as my wife is disabled and needed a car that provided easy access. We arranged to pick up the vehicle the following weekend, and arrived to find it all valeted and serviced, and kept under cover as it was raining. Having worked in the trade myself, I found Adrian to be quite laid back (not your usual pushy car dealer) and at no time did we feel pressured. We were offered the usual add ons, but we declined, and he didn't push the matter. All in all, we are very happy with our purchase, and the way Adrian conducted the whole process, making it very easy for us to hand over our money ;-) We would definitely be in touch again when the time comes to change, and wouldn't hesitate to recommend Gouldings to family and friends. I bought my Mini from Greg at the Hykeham garage and Iâ€™m over the moon with it and the service was amazing, Thank you so much for all of your help Greg. 5 out of 5 stars - Extremely helpful to all questions put, and helpful advice on distant buying. Went the extra mile to accommodate us as the customer without any sales pressure. We contacted Gouldings after seeing a car we liked the look of on the Internet. Greg Dawson was our contact and he was helpful and professional through the whole process of us buying our car.Would recommend Gouldings and would certainly make them our first point of contact when next we change our vehicle. Nothing was too much trouble and every question was answered positively and truthfully. It is a minefield out there. I was looking for a car for my 17 year old daughter and decided to concentrate the search just on garages in close proximity to Lincoln. We found a lovely little car at Gouldingâ€™s in North Hykeham. From start to finish the service I got from this garage was second to none. Greg was helpful and honest and made a task that I had entered with some trepidation really quite effortless. The communication was excellent and he kept me updated along the way. The car was beautifully prepared and I really felt I had got value for my money. You never really know what you are getting when you buy a second hand car and I know things can go wrong even if it isnâ€™t glaringly obvious but I would definitely recommend visiting Gouldingâ€™s. Their attention to detail is excellent and I couldnâ€™t have asked for better. Canâ€™t recommend Gouldingâ€™s enough. Greg went above and beyond to make sure my new car was ready in time for collection. The communication was brilliant he kept me informed from start to finish. Thank you for all your help Greg. A great quality Service provided from finding me the car I wanted at the price I needed to replacing blown headlight bulbs 3 months after purchase. I could not recommend Gouldings highly enough. Paul the salesman is professional and polite and went to great lengths to make sure I was happy at every contact. One day all used car sales will be made this way. The team at GOULDING'S car sales where brilliant, very professional and honest. Any question I had about the car I was looking at it, was answered straight away if they didn't no the answer they got back to me the same day. John's team is a credit it his company, buying a car from them was an enjoyment. I was that happy I went back a week later and bought a second car from them. Thank you all. 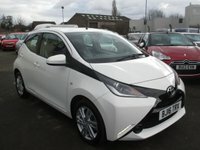 Excellent car buying experience from start to finish. Thrilled with my car. Greg was fantastic he made me feel at ease straight away and answered all queries. Nothing was too much trouble. Easy to contact and everything was arranged so quickly. Communication was brilliant. Very professional and friendly company wouldnâ€™t hesitate to buy from here again. Highly recommend. Thank you Greg and thank you Gouldingâ€™s. Really lovely guys and extremely helpful. Very helpful and honest. Delivered my Kia and I love it. Definitely would recommend. Thanks again. Great people to do business with. Recommended. It was good, the car was prepared ready for me to look at, I did not feel obligated to buy it, Adam answered my questions and got back to me in good time, I think generally it was a nice hassle free experience. I have just completed the purchase and collected my freelander. Gouldings were a pleasure to deal with friendly and thoroughly professional at all times. Many thanks to Adam for his support and guidance. I bought a lovely Jaguar X type SE unseen based on pictures from Gouldings website. Adam arranged delivery to Warrington for collection and transport to Isle of Man. I was delighted when the car arrived as described and beautifully prepared. I would highly recommend Gouldings as a trustworthy and professional dealer. Just completed a purchase of a beautiful Jaguar XF through their top salesman Adam. This is my 4th Jaguar from Gouldings, and another smooth transaction. Zero pressure, maximum assistance. Thank you chaps. 5 out of 5 stars. Always a pleasure to deal with. Thank you for a smooth transaction. Really happy with my purchase.A great deal on the car and very courteous and friendly staff. Thanks John for sorting me out and a massive thanks to Adam for all your help today. Thank you. I would thoroughly recommend buying a car from here. I have had such a positive experience purchasing my latest car. No hassles trying to get me to purchase unwanted extra's unlike a lot of dealerships. When I picked the car up it was in pristine condition and smelt like new. Thanks Adrian for your efficient service. 5 out of 5 stars - Excellent Dealer. Always returned our phone calls. Kept their promise. Will buy again when we decide to change the car. Would recommend. Many thanks to Adam. Second purchase within a year and top service from these guys. Great service from these guys. Adam agreed a part exchange price for my car over the phone as I had to travel over a 100 mile to view the car (VW Passat CC). Gouldings honoured the price and the Passat was as described. Did the deal the same day. They MOT'd the car and even put new discs and pads on. All in all a good experience and a pleasure to deal with. I would not hesitate to buy from Gouldings again even though they are not exactly on my door step. Adam bent over backwards for me to get me the right car which is a really great car, great value for money makes me think I have found a bargain. I felt I was respected and was listened to, so over all got to say was very impressed. would happily recommend to friends and any body else and Will deffo be getting my next car from them. great stuff Gouldings thank you for being the best. Couldn't have done more!, Adam you're a star, I think I got a great deal, but the mark of the man was when I had a minor issue with my new car, no fuss, no drama, just got it sorted within a day. Thank-you! Love my new wheels, it was meant to be. Came to look just at the right time by the skin of my teeth. Brilliant customer service, can't thank you enough, especially Adam. An absolute pleasure to deal with, they gave me a good price for my old car and I felt that my new car was really good value for money too. Even when I had a couple of niggles after collecting my car, everything was dealt with as a matter of course. Nothing was too much trouble. Highly recommended garage. Nothing seems to be to much trouble, they go the extra mile. 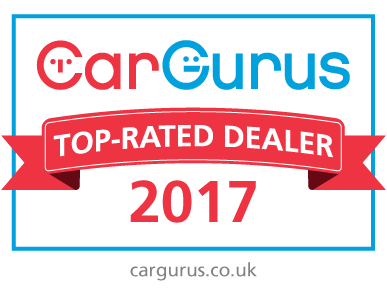 We've been named a Top Rated UK Dealer 2 years in a row! 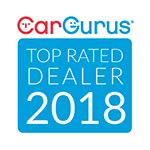 Only the best-reviewed dealerships receive the CarGurus Top Rated Dealer Award and Gouldings Car Sales of Lincoln have been lucky enough to be picked due to our commitment to customer satisfaction.